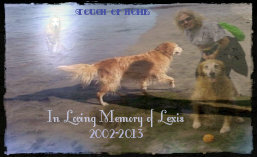 Touch of Home is dedicated to my Lexi who left this earth on 9/6/13 at age 11. She became ill practically overnight and I made the hardest decision of my life to put her to sleep. Lexis has always been my inspiration! 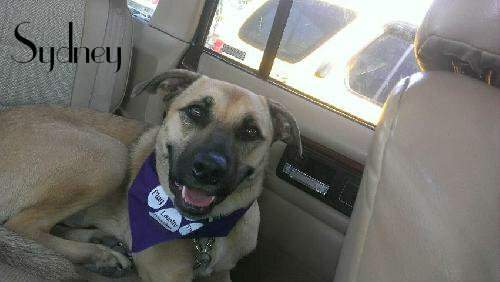 She continues to inspire me as I help dogs…animals in need. You will find anything and everything about dogs here. I write about what inspires me, passionate about and hopefully benefits pet parents…general and holistic dog and cat care, touch healing techniques, animal welfare, and the truth about pit bulls. I write from my own experience, knowledge and reliable sources. I am drawn to dogs like a moth to a flame. They are my ‘calling’. 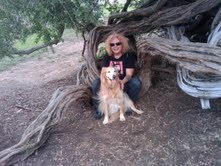 Hi, my name is Paula and I live with my daughter, Samantha, and my four legged children in Kentucky, we moved from San Diego, CA June 10th, 2014. I moved back to the country where I have family. I love the small town country life after being in the city for so long. I bolded the main points. If you are like me you are not going to read all this! My Chinese Zodiac sign is the dog. Go figure! 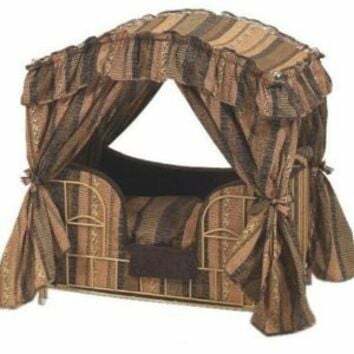 I started a home pet sitting service called Touch of Home in Aug 2010 with my daughter with an emphasis on a cage-free, positive, caring, loving & non-stressful home environment. I am an advocate for “bully” breeds and owned several and they make great family pets! The Creator and I fix ‘broken’ dogs so they will be adoptable to a loving family. I learn more from them than they learn from me. Pet care is more than providing food, water, shelter and love, but a deep human/animal bond as I look at the whole pet; mind, body, and spirit. I use positive reinforcement, Reiki, intuition, and holistic health care. I grew up with all kinds of animals, dogs…cats…cows…chickens…rabbits…turtles…pigs…horses…parakeets and an alligator (for a very short time). 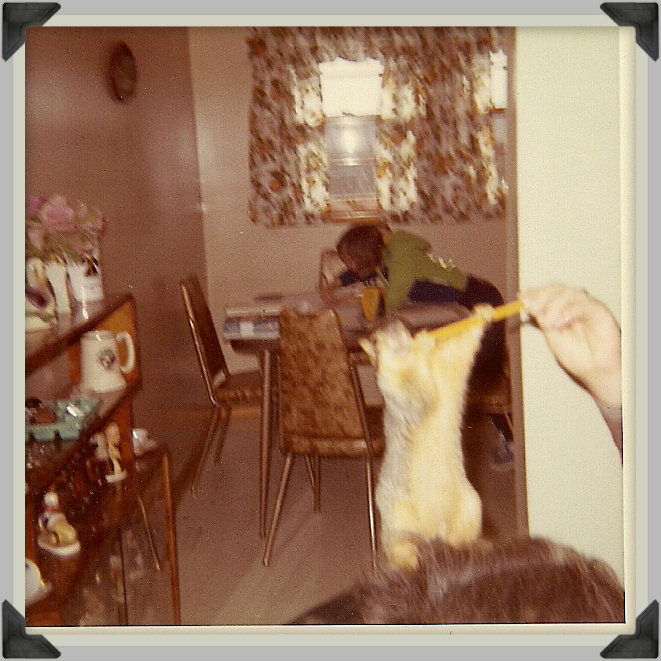 We even had three fox squirrels we raised from babies who lost their home at a friends’ house. This is JoJo in the pictures, he was the most friendly. They were walked outside for a while using a watchband as a collar. They were part of our family and we loved them, but we released them back to their natural habitat at a friends’ house in the country, so there would be a human influence and not left totally to the wild that they had not known for some time. My mom with JoJo. I am in the background with neighbor kid. I am a Reiki (Ray-kee) practitioner, a Japanese system using life force energy to promote healing and relieve stress using hands, eyes, breath and more. I was taught Usui and Western Takata Reiki. Rei means ‘spiritual’ and ki means ‘energy’, spiritual energy or life force energy. I became attuned October 2010 and have been on a spiritual & energy healing journey since. Reiki cannot harm your pet and is non-intrusive. Reiki is channeled through me from Divine Source. Everything has life force energy and is all around us. See video. This is the character for dog, canine or hound in Chinese. If you were born in the year of the dog, you . . . Are strong-willed. Loyal to your friends and mate. Never compromise when you think you are right. Occupying the 11th position in the Chinese Zodiac, the Dog symbolizes character traits such as loyalty, compatibility and kindness. Dogs frequently offer kind words and useful advice, always listening and lending a shoulder when necessary. 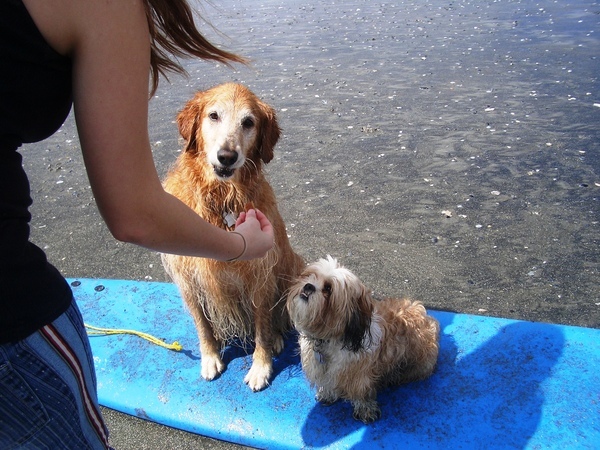 Dogs often become deeply involved in others’ lives and are sometimes perceived as nosy. Ensuring others are happy is more important to the Dog than wealth, money or success. Click here to find your Chinese Zodiac. Thank you! I loved your photos and putting a face to bloggers. Most of us are ‘real’ people. I have been following Julie for some time. LOL! Both my parents are country folk from KY. The alligator’s visit was very short. 🙂 The fox squirrels really stand out for me. That was awesome. My parents good friends had a farm we visited regularly. 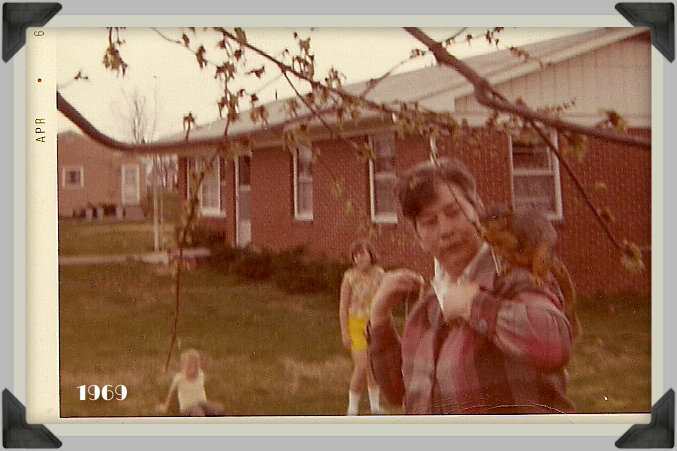 My mom always had parakeets. It would die, she would get another. Not till recently in my life did I fully appreciate ‘all the animals’ growing up. Thanks for visiting my blog 🙂 You have a wonderful blog. Although I am focusing on the abhorrent fur trade all animal rights topics concern me. I am totally for the “adopt don’t shop” argument and have been part of several demonstrations against pet shops that sell live animals. Losing a pet is always sad. We have 15 cats (all rescued) and I adore every one of them. Emy, You are certainly doing more than your share with 15 cats! 🙂 Thanks for your animal welfare and rescue support. We are their voice, and they can use all the voices they can get. Thanks so much for stopping by. Thanks for the follow and I love animals. My dog passed away and since I’m renting I can’t have a pet. I’m lonely in a way I would never have believed. I keep hoping we manage to get a place of our own so I can get another dog, never to replace, but fill that void. If I was able to I would volunteer at the shelter, but my back and meds make that impossible. I truly admire you. So you decided to join the small clan of Uncle Spike followers Paula…. That makes me a happy blogger now – I really appreciate you making that special mouse click. Aww, thanks Paula. Yeah I did a month of shepherding back in uhh, ’87 I think, in the West Bank, Palestine 🙂 Fun days, but darned cold at nights! Interesting. I have never been to that part of the world. 🙂 or England for that matter. Thanks for following my blog. 🙂 It’s always nice to meet new friends. Sorry to hear of your recent loss and I sincerely hope you’re doing okay. Do you know of anything in San Diego? If not, would you know how one would go about getting something like that started? Would you need sponsorship like the Humane Society? Permits? Sorry if this is not your expertise, but I’ve gotta start somewhere…. Lisha, i found the story on the internet and posted. i do not know anything about a vigil in san diego. you are right about not my expertise. 🙂 i can google and see. i am really sorry for puppy doe. i am glad this is spreading awareness of animal abuse. i wish they all got this kind of attention, so the it would end and people would be more aware of this happening. they are, and loveable, cuddly and best friends! funny, i call it a zoo, too!